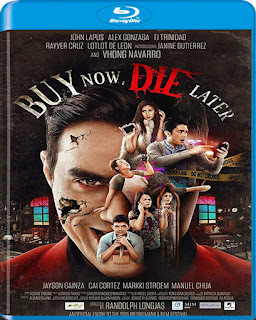 Buy Now, Die Later (formerly Death and Senses) is a 2015 Filipino supernatural psychological horror suspense film directed by Randolph Longjas starring Vhong Navarro, Alex Gonzaga, Rayver Cruz, John Lapus, Lotlot de Leon, TJ Trinidad and Janine Gutierrez. It is an official entry to the 2015 Metro Manila Film Festival. The film is about a compendium of five interrelated stories brought together by the proprietor of a curio shop selling unusual items. 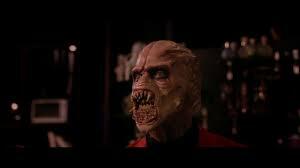 Santi (portrayed by TJ Trinidad), who says the role is "kind of demonic".Each of the character’s story is weaved around the five senses – sense of sight, hearing, smell, touch and taste. The film's official trailer was released on Dec 4, 2015.